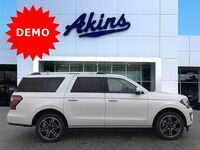 The 2018 model year was beyond kind to the all-new Ford Expedition lineup, gifting it with a wide array of all-new features and capabilities – all-new features and capabilities that include a refreshed exterior, best-in-class towing capabilities, a slew of all-new off-road capabilities, and a comprehensive suite of advanced new safety, technology, comfort and convenience features. All of that combines to make the all-new Expedition the perfect choice for anyone in need of a new large SUV. 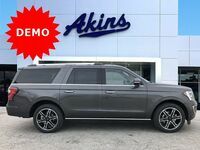 However, if that all sounds amazing to you but you’re just not sure if a 2018 Expedition model has the interior space you need, then fear not, as we’ve got the 2018 Ford Expedition MAX lineup right here at Akins Ford near Atlanta, GA – and it’s got enough interior space to ensure you can bring everyone and everything you want along for the ride. Before we check out just how spacious, comfortable and functional the interior of the 2018 Ford Expedition MAX lineup is, let’s first take a look at what powers it. The 2018 Expedition MAX lineup features three trim levels to choose from – the 2018 Expedition MAX XLT, the 2018 Expedition MAX Limited and the 2018 Expedition MAX Platinum. 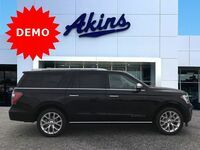 All three of these new Expedition trim levels feature a 3.5-liter EcoBoost V6 engine capable of pumping out 375 horsepower and 470 pound-feet of torque for the new Expedition XLT and Limited trim levels, and 400 horsepower and 480 pound-feet of torque for the new Expedition Platinum trim level. All three trim levels can get up to 17 miles per gallon in the city and 23 miles per gallon on the highway. Inside, the 2018 Ford Expedition MAX lineup is even more spacious than the 2018 Expedition lineup. 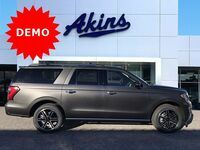 More specifically, the 2018 Expedition MAX lineup provides 172 cubic-feet of passenger space, 36 cubic-feet of cargo space behind the third row, 73.3 cubic-feet of cargo space behind the second row, and 121.5 cubic-feet of cargo space behind the first row. 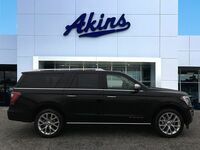 For more on the 2018 Ford Expedition MAX lineup, please contact our staff here at Akins Ford near Atlanta, GA. 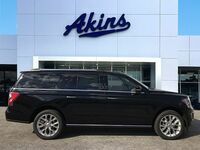 Interested in a Ford Expedition Max?